A new spot to score tacos and more has opened its doors in the neighborhood. Located at 4219 W. Irving Park Rd. between Keeler and Tripp avenues in Irving Park, the newcomer is called Chicago Taco Authority. This taqueria - the creation of Jose Bustos - features traditional street-style Mexican fare. The restaurant space itself is inspired by the Chicago Transit Authority, complete with transit memorabilia and a life-size train. 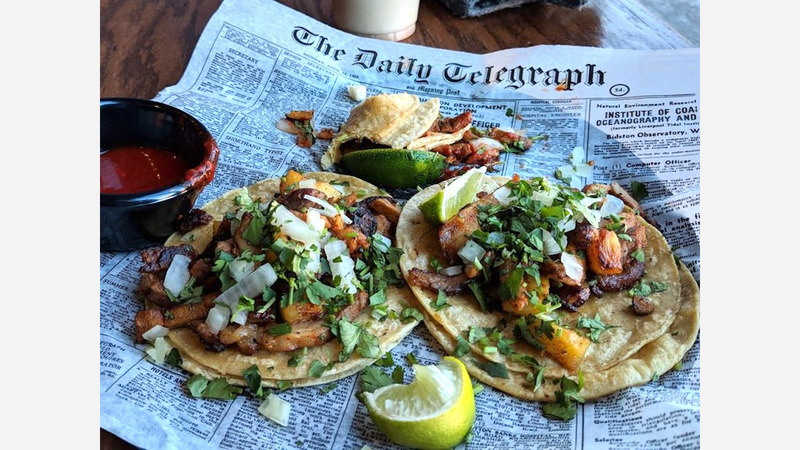 On the menu, expect to see taco offerings with fillings like "Classic Steak," al pastor, "Surf and Turf" with shrimp and steak, fish and spicy shredded chicken. There are specialty tacos on hand as well, like the crunchy shredded brisket taco, chile relleno and the "Sweet Hog" with Coca Cola-braised pork, jalapeno coleslaw and onion strings. Rounding the menu out are sides like chips and guacamole, queso fundido with oven-baked Oaxaca cheese and chorizo, ceviche and tortilla soup. The Chicago Taco Authority has gotten an enthusiastic response thus far, with a 4.5-star rating out of 22 reviews on Yelp. Gerry A., who was among the first Yelpers to review the new spot on Jan. 10, said, "Since it's new in the neighborhood, I decided to give them try. Wow, pretty good. I tried steak tacos, Elote cup and guacamole side and chips...tacos had good flavor." Yelper Mike B. added, "Welcome to the neighborhood! And thank you for coming to open up this place. Best tacos I have had in Chicago for a third of the price. Quality ingredients in every taco." Robert F. said, "Delicious! I had two steak and one al pastor taco and they were delicious! The meat was perfectly seasoned and prepared the way I like it. Yes, a throwback to the days when I would order tacos, from the corner taco stand on wheels down in Mexico, after making the rounds at the local cantinas." Interested? Stop by to welcome the new business to the neighborhood. Chicago Taco Authority is open Wednesday to Saturday from 11 a.m. to 10 p.m. and Sunday to Tuesday from 11 a.m. to 9 p.m.